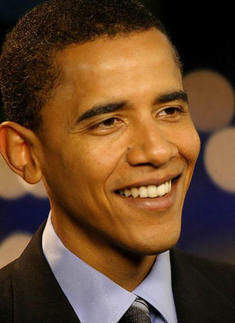 America in the World's Briefings: Will anti-Americanism end if Barack Obama becomes President? But it is the election of Senator Barack Obama that is likely to have the most electric effect on world opinion (at least in the short-run). Opinion surveys suggest that the Democrat nominee is the favoured choice of the average citizen in nations across the world, especially Europe. His opposition to the Iraq war, his support for multilateral institutions like the UN and his sophisticated speaking style will appeal to many of the people who have been the loudest critics of George W Bush. The election of America’s first black President will also have a dramatic effect. This has even been acknowledged by Senator Obama’s political opponents. Mike Gerson, for example - former chief speechwriter to President George W Bush, has talked of the “dramatic” power of President Obama’s election. The attacks of 9/11 were the ugliest and bloodiest ever manifestation of anti-Americanism. They may have happened when George W Bush was in the White House but they were planned when President Clinton was Commander-in-Chief. They were executed when Bush was still promising a humbler, less interventionist foreign policy. Although most of the world grieved with America in the weeks after 9/11, many of its critics rejoiced. Le Monde did publish the headline ‘We Are All Americans’ after 11 September 2001 but noted in the text below: “[T]he reality is perhaps also that of an America whose own cynicism has caught up with [it]”. The US Ambassador to London was reduced to tears after a hostile BBC Television audience attempted to blame American foreign policy for the attacks on Washington and New York. Anti-Americanism was alive and kicking before the invasions of either Afghanistan and Iraq. It would also be a grave mistake to believe that current White House policy is the only engine of anti-Americanism. Anti-Americanism is partly a function of America’s hegemonic status. It has accumulated over a long time. Just as George W Bush inherited anti-American feeling that grew under the presidency of Bill Clinton, so the 44th US President will suffer from the anti-Americanism that grew up under the eight Bush years. There is also anti-Americanism associated with America’s cultural and economic power. Hollywood’s often sexually-explicit and violent films, for example, are resented in many more traditional societies. Michael Medved has contrasted the output of today’s Hollywood with the much winsome era of Frank Capra, Jimmy Stewart and Cary Grant. American economic power is also resented. Brands such as McDonalds and Coca Cola are simultaneously consumed in their billions and loathed across the world. American capitalism and multinationals figure prominently in anti-American literature. We conclude this briefing with four special reasons why anti-American feeling might persist or even grow under a President Obama. Much anti-Americanism – particularly in Europe and the Middle East – is associated with US solidarity with Israel. Although some blogs worry about the anti-Israel credentials of some of Barack Obama’s advisers it is also true that Senator Obama has gone out of his way to reassure Israel that he is its friend. His June 2008 statement, for example, that Jerusalem should remain the capital of Israel and should “remain undivided” is a more hawkish position than any ever adopted by George W Bush. That and a promise to “eliminate” the threat posed to Israel by Iran’s nuclear ambitions brought rapturous applause when he made the statement to the American Israel Public Affairs Committee. If a President Obama may disappoint global critics of US policy towards Israel he may also struggle to please those observers who see Bush-era America as an obstacle to action on climate change. President Bush has slowly been forced to adopt a position more sympathetic to the consensus on global warming but he is not the only obstacle to the kind of action favoured by most world leaders. The recent defeat of the Lieberman-Warner ‘Climate Security Act’ by the Democrat-controlled Senate suggests that high expectations of radical US-led action on the environment are unlikely to be realised. Although the invasion of Iraq and the violent insurgency that followed have been leading causes of the anti-Americanism of recent years there is also a real danger that new forms of resentment might follow a precipitate withdrawal. The surge of troops and change of tactics overseen by General David Petraeus has produced a significant reduction in violence. If the fast withdrawal favoured by Barack Obama undid that progress and Iraq descended into renewed sectarian strife it is not difficult to see Iraq returning to the top of BBC and other international news bulletins, with America blamed for the chaos and possible civil war. Although George W Bush began his time in office with an unfortunate series of measures that 'protected' the steel industries of swing states like West Virginia he leads a party that is less vulnerable to the protectionist instincts of organised labour. On RealClearPolitics Steve Chapman noted how the Democrats are becoming an increasingly anti-free trade party. During his presidential campaign John Kerry accelerated the trend with his pledge to reward companies that kept jobs in the USA instead of outsourcing them. On a recent trip to Kenya Senator Obama declared his support for subsidies which protect American farmers by arguing that he had to look out for the interests of the people he represents. He recently joined with other Democrats in opposing a free trade pact with Colombia and questioned free trade with Canada. Economic protectionism is just one manifestation of the drawbridge mentality popular amongst some Democrats and, in particular, amongst its netroots. Bush is hated by many around the world for intervening in Afghanistan and Iraq. But non-intervention may also bring opposition. Ronald Reagan’s withdrawal of American forces from the Lebanon in 1983 in response to terrorism may only have served to embolden terrorism in the long-run. George H. W. Bush’s decision against removing Saddam Hussein after repelling Iraqi forces from Kuwait lead to over a decade of damaging Western sanctions. Non-intervention in Rwanda by Bill Clinton was likewise not without its moral problems and his administration's inaction against the Taliban regime in Afghanistan ensured 9/11 could go ahead. With the world entering dangerous new phases of the age of terror there is only really one nation that has the power to pre-empt threats. Bush is disliked for using that American power but any future decision not to exercise that power could also create serious tensions. Think, for example, of nations like Iran being allowed to become dangerous and untouchable powers; sponsoring global terrorism, destabilising world markets and bullying neighbours. Whatever path America chooses – interventionism or non-interventionism etc, some won’t like it.